Carat: Flexibility: a new dimension of hearing. Equipped with a housing that provides perfect wearing comfort, Carat is available in two versions to meet almost every wearing need and preference. 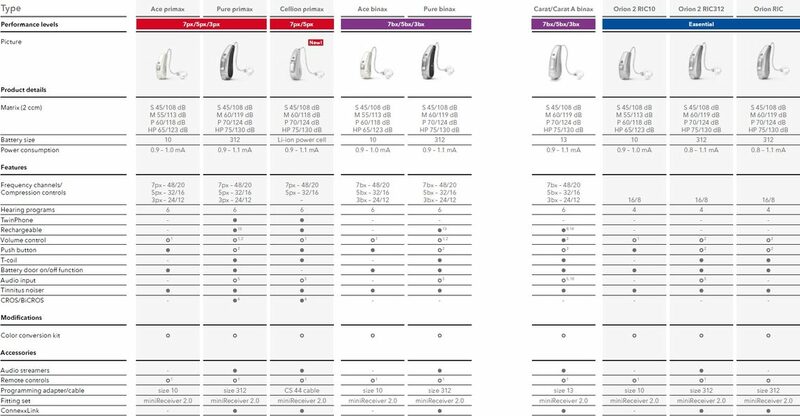 Carat models are rechargeable while Carat A models are DAI-ready to connect to FM systems and stream sound directly into your ears. 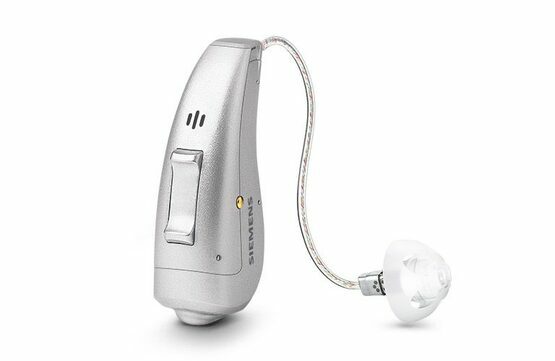 Additionally, Carat offers supreme control and connectivity, allowing you to discreetly adjust your hearing instrument settings and letting you connect to a variety of audio sources. Accessories like the easyTek, the easyTek App and the touchControl App allow for an extra level of convenience and discretion. Enjoy the sound of life – fully, flexibly and in every facet. Carat A models’ standard battery compartment can be exchanged for one with a connection for Direct Audio Input. 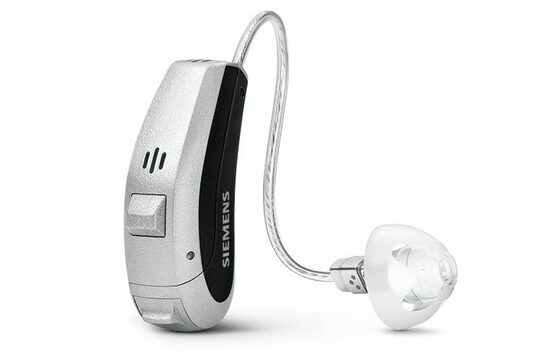 The DAI-ready version allows connection to FM systems and streams sound directly into your ears. This is especially helpful in noisy environments, such as classrooms. Orion: Well connected, superbly convenient. 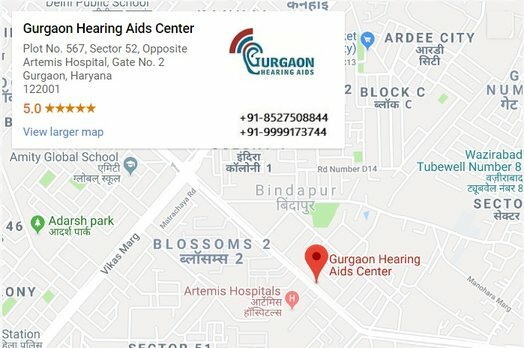 Relevant for all BTE and receiver-in-canal (RIC) hearing aids. 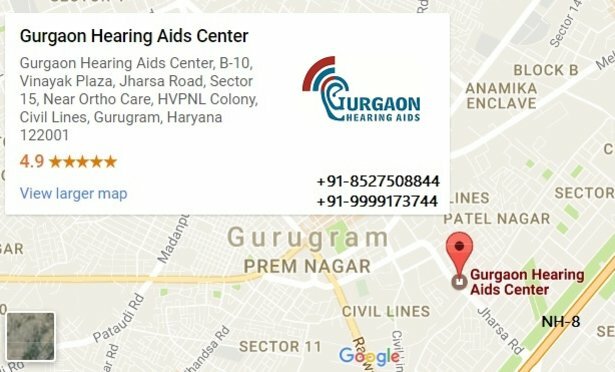 Relevant for all receiver-in-canal (RIC) hearing aids.